Among those who joined the festivities were Kent Browning and his sister, Karen, the two younger children of the late Richard D. Browning, who was a businessman, civic leader and strong supporter of local schools. Also present were members of the Long Beach and Signal Hill city councils. Representatives of State Senators Janet Nguyen and Patrick O’Donnell, and a representative of State Assembly member Ricardo Lara presented proclamations commemorating the opening of the new high school, the first in LBUSD to offer an academic path to hospitality, culinary arts and tourism careers, which are among the fastest growing occupations. 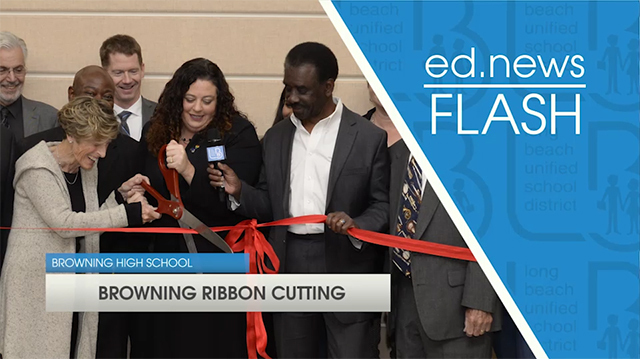 Browning is the third small high school to be opened in LBUSD in four years with funds from Measure K, the $1.2 billion school board initiative approved by voters in 2008. 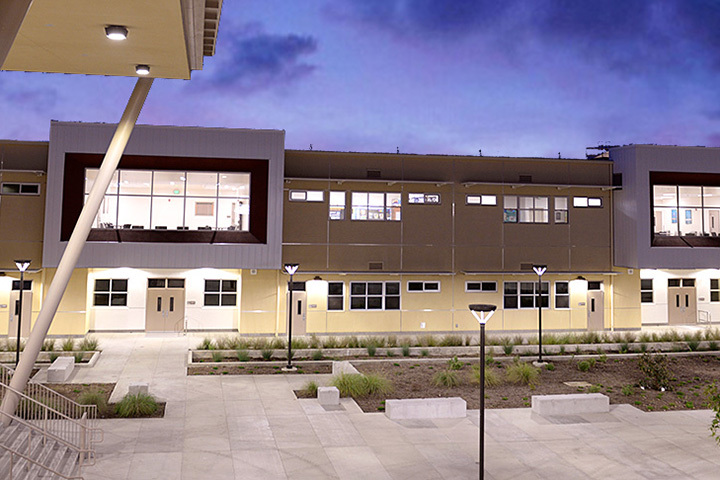 Learn more about local school construction and repair projects at lbschoolbonds.net. Designed to serve up to 800 students in grades 9 to 12, the school opened last fall with its first class of ninth graders.  Each year, another new class of students will be added. Students are selected from applicants across the school district and nearby communities. Built with input from business leaders and faculty from Long Beach City College and Cal State Long Beach, the school is equipped with the latest computer and Internet technology, as well as a state-of-the-art commercial kitchen. Other features include an all-weather track and field, two-story classroom buildings, labs, a gymnasium and a multi-purpose room surrounding a central open courtyard. A covered amphitheater and dining patio provide common areas for student gatherings.